Luca Curci talks with artist Hector Rafael during the event FUTURE LANDSCAPES of BORDERS festival on October 2016. Hector Rafael (1973) is a painter whose work depicts beings that overcome their fragmentation through their transfiguration. 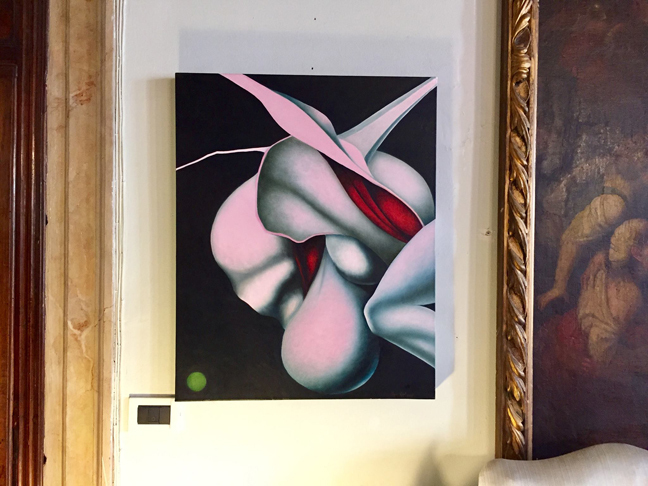 In his paintings the anatomical and botanical references merge into each other creating ambiguous sexual forms where male and female become one. The traditional definitions of masculinity and femininity are erased and the eyes of the spectator are opened to a new realm of possibilities. His work functions as a hopeful invitation to inclusive and harmonious coexistence. The artist has a Bachelor of Fine Arts from Syracuse University and a Master of Art Education from Universidad del Turabo. On 2007 Hector Rafael participated in Florence Biennale of Contemporary Art and on 2008 was part of Istanbul’s International Painting Exhibition “Instants” at Dolmabahce Palace Museum. 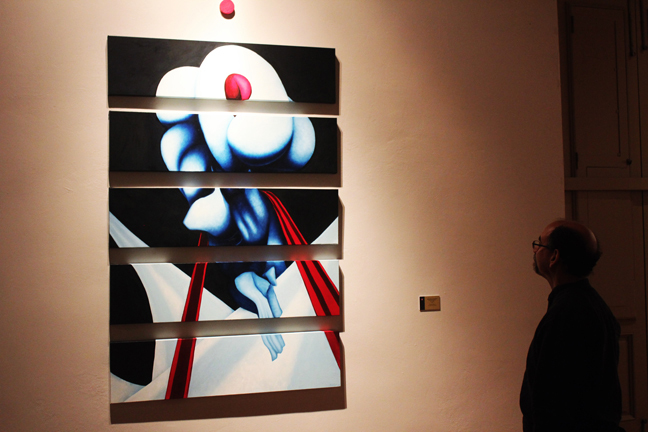 His paintings have also been included in exhibitions in New York, Boston, Chicago, Georgia, Florida and Puerto Rico. 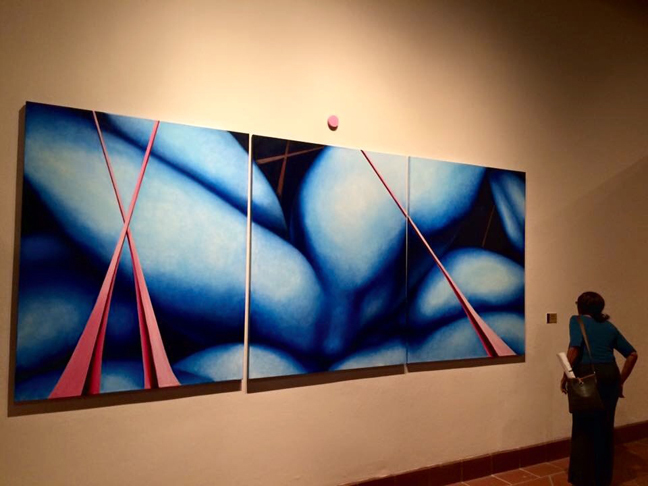 On February 2016, he had his most recent solo exhibition at Museo de las Americas, one of the most prestigious museums in Puerto Rico. The artist’s work is part of both private and public collections including Museo de Arte de Caguas and Museo de Arte Francisco Oller. Luca Curci – What is the message linked to the artwork you have shown in this exhibition? How is it connected to the theme of the entire festival? 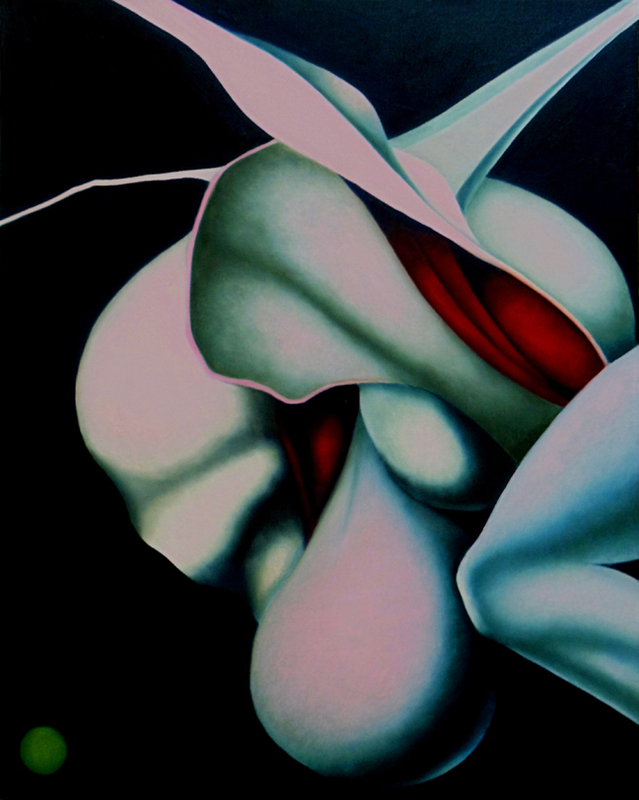 Hector Rafael – Vida (Life) is a painting where anatomical and botanical references merge into each other to create an image where human beings and their environment coexist harmoniously. Male and female forms become one creating an ambiguous sexual scene where the traditional definitions of masculinity and femininity are erased and the eyes of the spectator are opened to a new realm of possibilities. A floating circle shares the space with the carnal forms that transform in its presence. The circle is the only element painted without volume to create contrast between its colorful flatness and the anatomical forms surrounding it. This is a visual way of establishing a difference between the material world and the omnipresence of the ethereal. The circle balances the composition and emphasizes the constant dialogue that exists in my paintings between earthly and ethereal, carnal and spiritual, the artist and his inspiration. My work of art functions as a hopeful invitation to inclusive and harmonious coexistence. It is a window into a world without borders and limitations where life is not gender specific. L. C. – What do you think about the concept of this festival? In which way did this experience inspire you? H. R. – I love the concept behind the festival of aiming to generate future landscapes without mental and physical borders, in which human beings are completely free. This is something that I believe in and was already exploring in my work. It was very inspiring to meet so many artists from different backgrounds and disciplines that share that ideal. Participating in the festival turned that concept into a real experience and made me feel connected with artists from around the globe. H. R. – The best advice was given to me by one of my professors at Syracuse University. She said I should allow myself to develop a concept and avoid jumping from one idea to another without going deeper into it. I followed that advice and it has helped me create a coherent body of work. H. R. – I have a Bachelor of Fine Arts from the College of Visual and Performing Arts at Syracuse University, New York and a Master of Art Education from Universidad del Turabo, Puerto Rico. The experience that has affected my technique, the formal aspects of my work the most and the way I see the art world was working as an Art Handler and Cataloguer at Christie’s New York from 1996 to 2002. It was there where I had the opportunity of studying firsthand the work of some of the most relevant artists in history. It also helped me understand the business side of the art world. When it comes to the conceptual aspect of my paintings there is not a specific incident that influences my work but an accumulation of experiences that inspires me to reconcile my passage through life and the images I create. L. C. – What do you think about It’s LIQUID Platform? H. R. – I think It’s LIQUID is a wonderful platform that allows artist from different parts of the world to come together and share their work with each other and with an international audience. H. R. – Yes, I would love to collaborate with your organization in the future. I hope this is the first of many projects together. L. C. – Do you think that the combination It’s LIQUID-Ca’ Zanardi/Venice Art House work well? H. R. – It was a perfect match. I loved the contrast between the contemporary art shown against the history and mystery embodied by the structure of both venues.